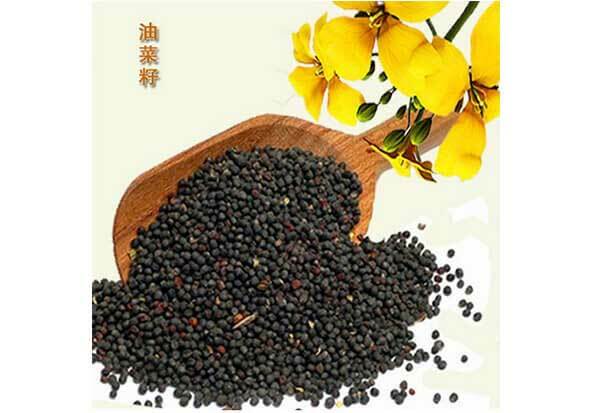 (Keywords: Canola Oil Production, Canola Oil Plant, Canola Oil Processing, How Canola Oil Is Made, Canola Oil Production Line, Extracting Canola Oil, Canola Oil Production Line, Canola Oil Mill, Canola Oil Mill Project), Preparation of rapeseed oil use pre-pressing - leaching process mostly. Rapeseed raw materials using vibrating screen or flat rotary screen screening impurity removal. As rapeseed contains more "side by side mud", also need to use vertical circular screen to the side of the mud to break, sieve out and remove with suction. After cleaning the rapeseed impurities should be less than 0.5%. The newly harvested rapeseed generally do not need to soften, but low water content of rapeseed to be used in softened layer of water in 9%, temperature 50-60 ℃ under softening conditions 12min. Then the use of vertical rolling mill or roller mill to roll the rapeseed into a 0.35mm thickness of the embryo, rapeseed into the rolling mill before the need to use the permanent magnet drum to remove the material contained in the iron. Rapeseed raw embryo by auxiliary steaming wok and pressing steamed frying pan after steaming into the pre-pressing machine mature embryo moisture content of 4-5%, temperature 110 ℃. The pre-squeezed oil is filtered and pre-extracted rapeseed oil is sent for refining. The pre-pressed cake was sent to the leaching plant for leaching. The solvent ratio was 1: (0.8-1). The mixed oil was pretreated, evaporated and stripped to obtain refined rapeseed oil. Leaching wet meal using high-layer steaming machine or vertical high-layer of steam stripping off, the rapeseed meal. Challenge Maximum uptime while constantly improving your process. Downtime is a costly business. To keep your operation up and running, a professional partner with the know-how to service your equipment and systems plus a reliable supply of spare parts are essential. Dingzhou Yongsheng Part & Service staff helps optimize and keep your operations on-line throughout the life-time of the equipment.We are trying the shortest delivery time for spare parts ensure . We take care of your service needs at our workshops or at your mill. Contact us 24/7 for technical assistance or a visit by a field service engineer. Our service include system trouble shooting, retrofits, repairs, hands-on staff training and site audits.